Whether you are on your daily drive to work, going out to do errands, or going on a long road trip, there are simple ways to avoid the most common types of auto insurance claims. -Leave plenty of room in front of your vehicle, especially in poor driving conditions. Don’t follow the vehicle in front to you too closely. -Don’t slam your brakes, giving the driver behind you little time to react if they are following you too closely. -Pay attention to your driving. Do not allow yourself to be distracted by such things as your cell phone or adjusting the car stereo buttons. -Look further up the road so that you can be aware if traffic is slowing down up ahead. -Check that your brake lights are in good working order, so that drivers behind you will know that you are slowing down or stopping. -Change lanes if the vehicle behind you is following too closely. -Slow to a stop rather than stopping quickly. This will make drivers behind you slow down as well. Another common claim results from your car being parked, but hit by another vehicle. This would include a hit and run when the other driver does not leave you their contact information. There is little you can do to protect your car when it is parked somewhere. However, it is possible to try to at least reduce the chances of your car being hit by another driver. -Park further away. At a shopping mall, for example, park away from the busier sections and away from the traffic lanes. -Park your car properly, that is, inside the lines. When parking in a spot, try to be as well-centered as possible to reduce the chances of being dinged by another car’s door. -Don’t be selfish. When you park next to other vehicles, be considerate and leave the other drivers enough room to get back into their cars. -Drive according to the weather conditions. Even if there seem to be no other cars around, you still need to keep control of your vehicle at all times. The tree near the side of the road is not going to move if you run off the roadway. -Pay attention to your driving. As always, keep your eyes on the road and put away your cell phone, or use proper hands-free technology. -Slow down. Always drive at an appropriate speed, taking into consideration the road and weather conditions and current traffic. Reduce speed when driving on unfamiliar or winding roads. -Don’t drive while you feel tired, drowsy and definitely not if you have been drinking. We have grown to rely on our car to get through daily life. 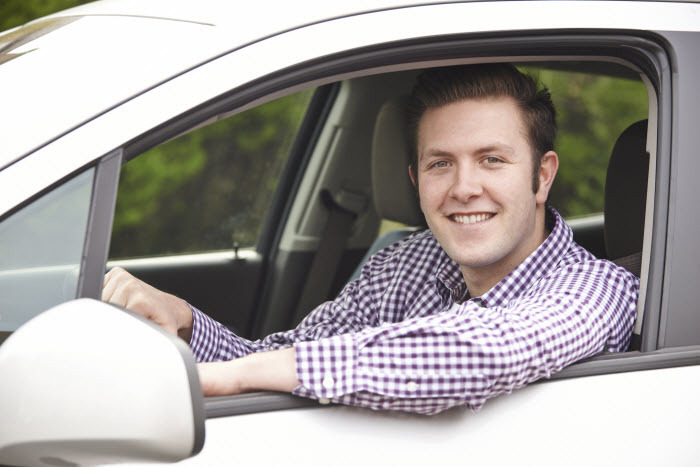 It isn’t always possible to avoid an accident, but that is the reason you need to have good auto insurance. Your insurance broker will help you to decide on the types of coverage you need to protect yourself and can guide you through the process should you ever need to make a claim.